Good morning. It's Tuesday, Oct. 16. • Rep. Duncan Hunter resorts to bigotry against opponent. • Hidden cameras catch Apple overcharging for repairs. 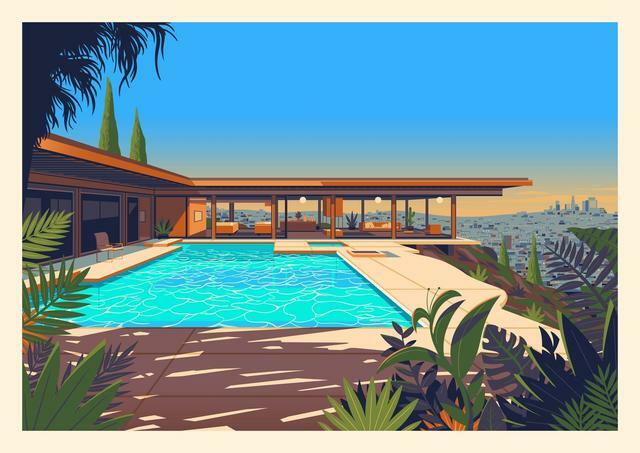 • And sumptuous illustrations of Los Angeles architecture. 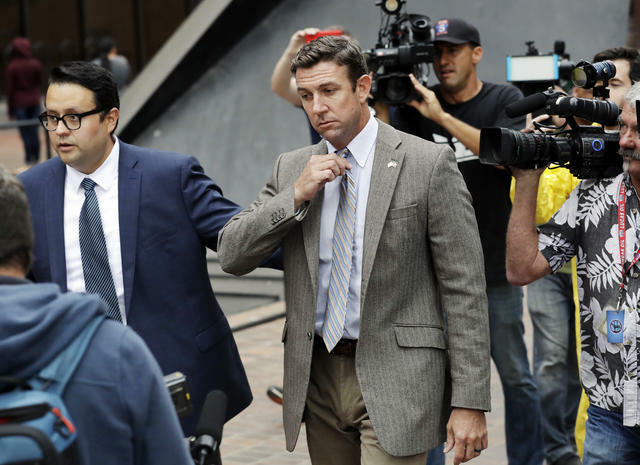 Rep. Duncan Hunter is stepping up his bigotry-infused attacks against his Democratic challenger, Ammar Campa-Najjar. The San Diego County Republican issued a letter signed by three former Marine generals contending that Campa-Najjar poses a national security risk because his grandfather was involved with the plan to murder Israeli athletes at the 1972 Olympic Games. Campa-Najjar never met his grandfather. Hunter, who is under federal indictment for misuse of campaign funds, has suggested that Campa-Najjar, a Christian, is a terrorist sympathizer and part of a campaign by radical Muslims to infiltrate the government. In a speech, Hunter called Muslims "disgusting." "It’s a whisper campaign," Campa-Najjar told the N.Y. Times. "One guy was cleared by the F.B.I. to work in the White House," he said, referring to his time in the executive office under President Obama. "The other was indicted by the F.B.I." Read more in the Times and KQED. Proposition 10 supporters rallied in San Francisco this month. 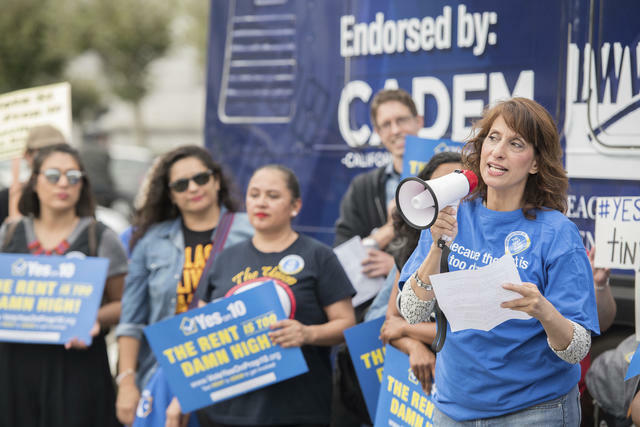 Among the most most contested initiatives on the November ballot is one that would loosen restraints on rent control laws. Proposition 10 has consumed nearly $60 million in political spending. The state Democratic Party and L.A. Times have backed it. But developers, among others, warn that it would thwart construction in a state severely lacking in housing. Here's a good take by economics reporter Conor Dougherty. Ready for November? There are 11 statewide propositions on the ballot that could shape housing affordability, animal welfare, gas taxes, and more. Ballot.fyi has a super simple guide with scorecards of newspaper endorsements. Firefighters responded to a home in Tustin where a tree crushed a vehicle, killing a woman inside. One of the strongest Santa Ana wind events in years pounded California on Monday. 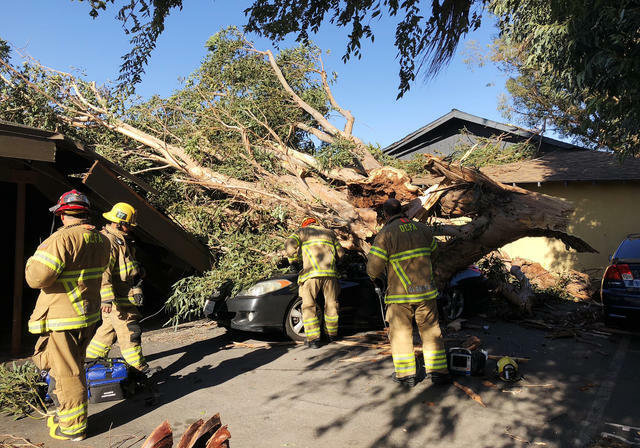 A woman was killed in Tustin after a large eucalyptus tree toppled onto her car. By evening, PG&E was restoring electricity to tens of thousands of customers in Northern California after their power was preemptively cut over concerns of fire danger. 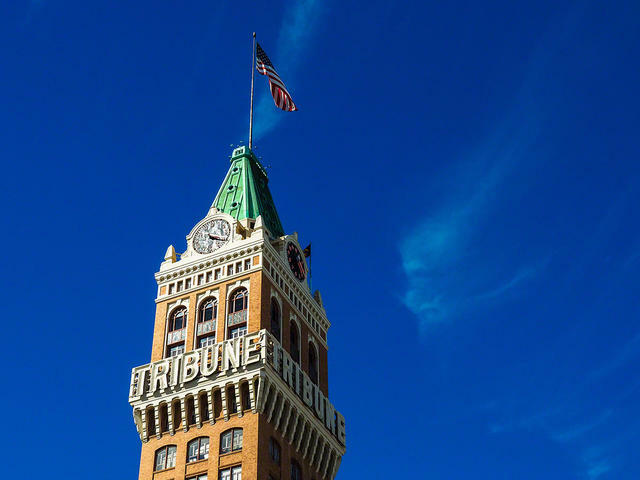 The Tribune Tower, former headquarters of the Oakland Tribune. The newspaper folded into the East Bay Times in 2016. A survey of so-called news deserts, where journalism is anemic, found that the number of daily newspapers across California had fallen by nearly a third since 2004, to just 66. Daily newspaper circulation was down by half. 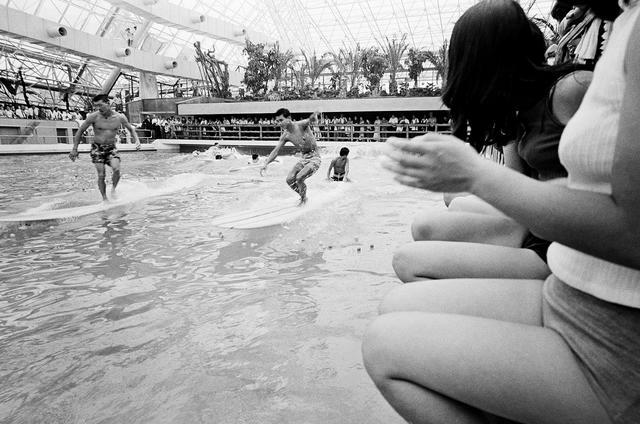 Indoor surfing in Japan in 1967. A flurry of innovation has taken wave pools for surfing to a whole new level. An arms race has broken out among artificial-wave makers, including Kelly Slater's Surf Ranch in the heart of the San Joaquin Valley. The prize for the best manufacturer could be a center-stage spot at the 2020 Games in Japan. 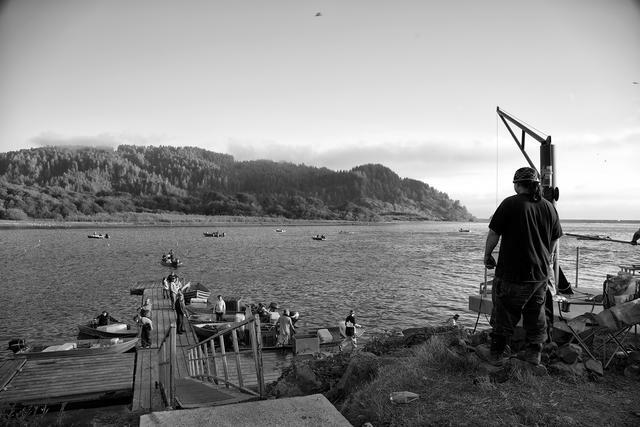 Yurok fishermen at the mouth of the Klamath River. A carbon-offset program, the first of its kind in the U.S., has become the Yurok's main source of discretionary income, allowing the Northern California tribe to buy back more than 90 square miles of land. "A number of experts now believe that reclaiming the land for indigenous people is the best way to protect the Earth’s forests." Dewayne Johnson, a former school groundskeeper, sued Monsanto, arguing that an herbicide in Roundup likely caused his cancer. 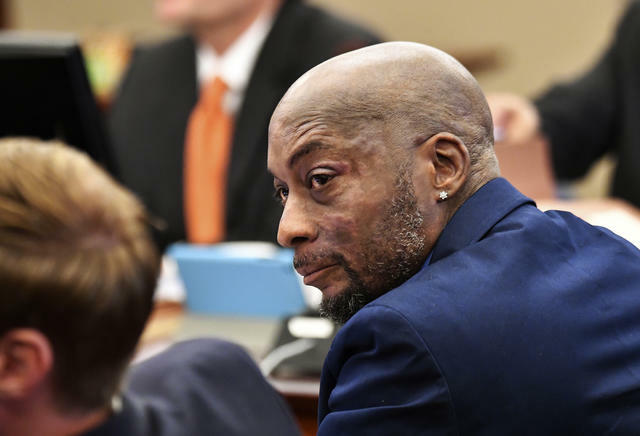 A San Francisco judge has signaled that she will overturn a ruling that ordered Monsanto to pay $289 million to a man stricken with cancer. Jurors in the case pleaded with her to reconsider. One said they had deliberated for days and paid "studious attention" to the evidence. The possibility that "our unanimous verdict could be summarily overturned demeans our system of justice and shakes my confidence in that system," he wrote. A Canadian broadcaster used hidden cameras to show that Apple customers were being wildly overcharged for repairs. "Genius Bar" workers told customers that their devices weren't worth fixing even when minor repairs could solve their problems. A right-to-repair advocate said Apple has made deliberate moves — like inventing its own screws — to prevent people from making repairs. 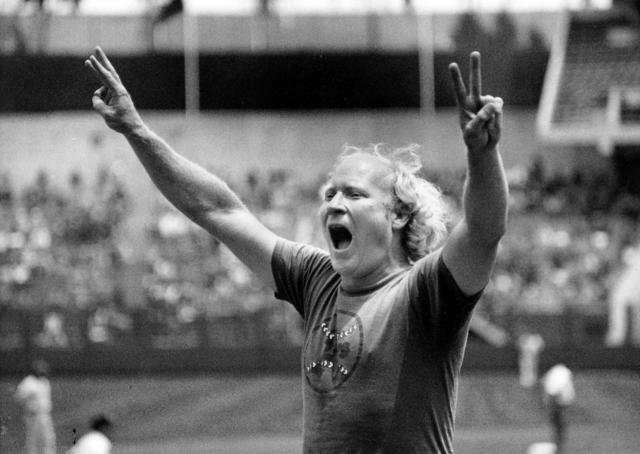 On this week in 1981 “Krazy” George Henderson led the first audience wave during a nationally televised game at the Oakland Coliseum between the A’s and Yankees. The announcers were awestruck. "I’ve never seen anything like this," one said. (Here's video.) The wave became a staple of sporting events, and Henderson became a legend of Bay Area sports. He was recently inducted into the Sports Hall of Fame at San Jose State, his alma mater. A travel magazine ranked the country's 25 best pumpkin patches. The top two were both in Northern California: Uncle Ray's Pumpkin Patch in Sacramento, and Bob's Vegetable Stand & Pumpkin Farm in Half Moon Bay. 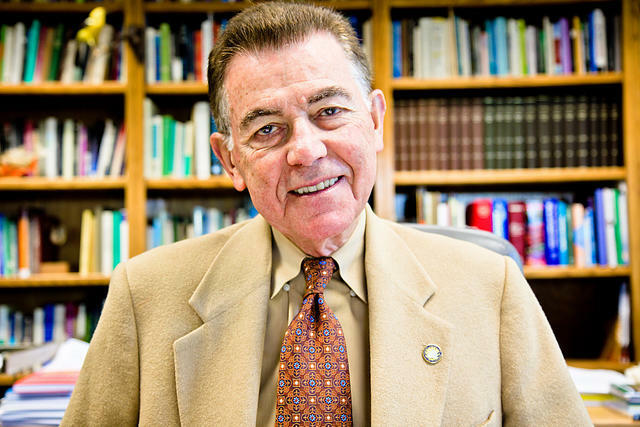 Francisco J. Ayala donated $10 million to U.C. Irvine's School of Biological Sciences, which then bore his name. The acclaimed U.C. Irvine geneticist Francisco J. Ayala, 84, perceived his greeting kisses and compliments as good manners. Benedicte Shipley, 50, an assistant dean, said she felt objectified and humiliated. Her version won out, and Ayala was made to resign. The decision has sharply divided the campus. 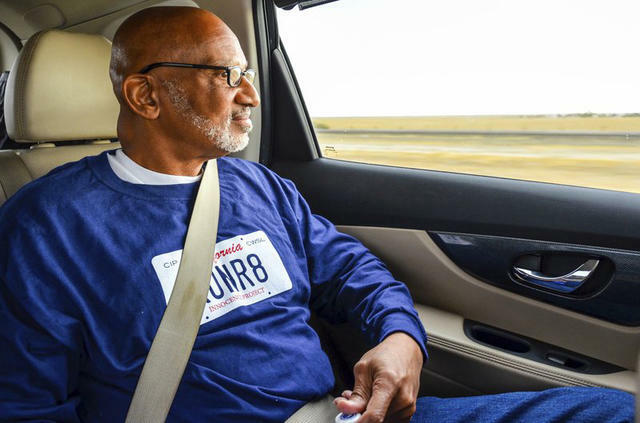 Horace Roberts was released from Avenal State Prison after being wrongly convicted of murder. After 20 years in prison, a Southern California man was exonerated in the 1998 killing of a co-worker with whom he was having an affair. The authorities announced the arrests of the woman's former husband and a nephew after new DNA tests were forced by the California Innocence Project. Freed, Horace Roberts, 60, tossed his prison clothes into a trash can and drank a Pepsi. A man who had been wandering on Interstate 5 in the San Fernando Valley died after being struck. He didn’t carry identification. On his left arm was tattooed the words: "Be the best." His name was Kevin Ellison, the former USC football star. Now his family wonders what role sports played in his years of mental health problems. The iconic Stahl House in the Hollywood Hills. When a young Briton came to California on a study abroad program, it changed his whole sense of style. A self-taught artist, he channeled his fascination with the state into gorgeous illustrations of architectural landmarks in Los Angeles, such as the Stahl House, above. Head over to the California Sun online to see more. A photo caption in an earlier version of this newsletter misstated the newspaper into which the Oakland Tribune was folded. It was the East Bay Times, not the East Bay Express.